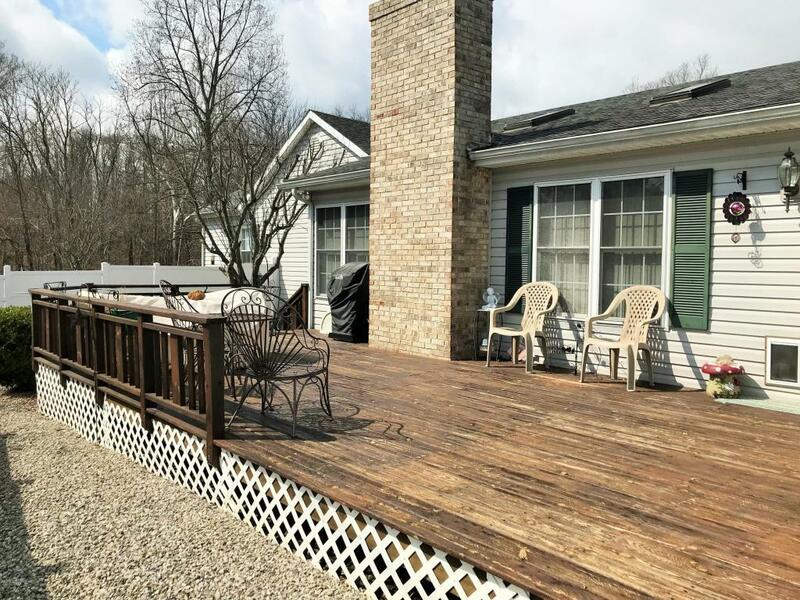 If you are looking for a spacious, quality, well maintained home in a terrific location convenient to beautiful Madison Indiana, then don't miss the opportunity to view this home. The original small house was built in 1949 but has had several wonderful additions and updates over the years and now boasts over 2100 sqft. The home features a nicely appointed eat-in kitchen, a spectacular great room with F/P, a formal living room, a beautiful master suite with with w/o to a private patio area w/ hot tub and huge master bath, 2 more bedrooms (one does not have closet) and another lovely full bath. There are wonderful, private outside areas to enjoy and an attached 2 car garage w/ workshop. Kitchen appliance do not transfer with property. Call today for your private showing! !